In a collaborative effort between NRS Healthcare, Herefordshire Council and Wye Valley NHS Trust, the three organisations have launched a new campaign to encourage residents to return unwanted medical equipment so it can be reused by other patients. The ‘Hand it Back’ campaign was designed in an effort to stop unnecessary equipment waste, as millions of pounds worth of equipment is currently loaned to residents in the community, some of which may no longer be needed. According to the Council, many mobility products, such as walking aids, wheelchairs, crutches and beds, are discarded when they are no longer needed, yet the equipment could easily be recycled for another patient to use, where it’s safe to do so. 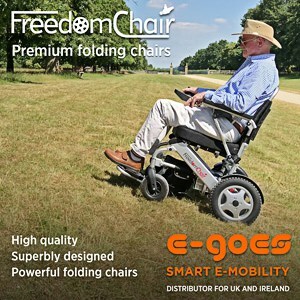 Returning the mobility devices would avoid also unnecessary landfill and would see thousands of products find new homes. NRS Healthcare is offering a free collection service to help retrieve the unwanted mobility aids from the community. In October 2018, the Department of Health and Social Care (DHSC) called for patients to return unwanted mobility equipment to the NHS so that it could be efficiently reused, stop unnecessary waste, and save the Health Service thousands of pounds.